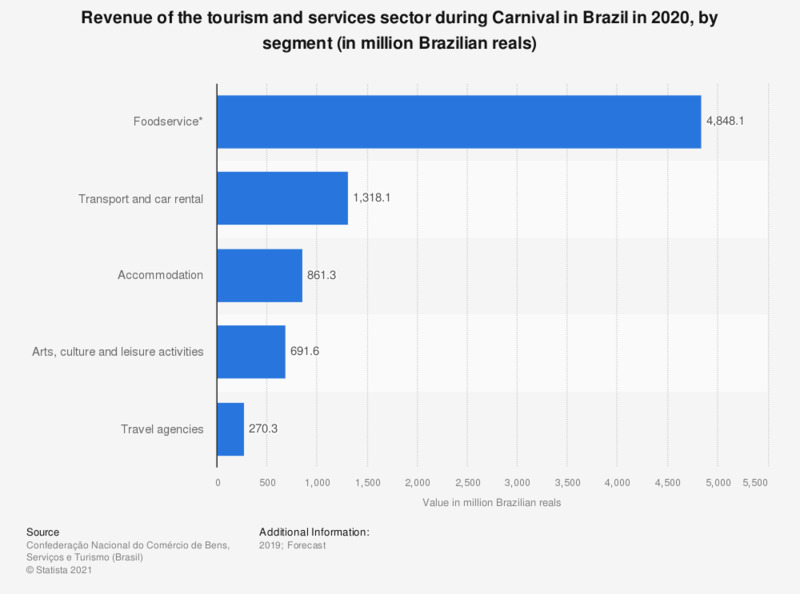 This statistic depicts a forecast of the revenue generated by tourism and related services during Carnival season in Brazil in 2019, sorted by sector. The Brazilian Carnival was forecasted to generate nearly 6.8 billion Brazilian reals in revenue in 2019, of which the food and gastronomy segment would account for almost 4.1 billion reals. Everything On "Carnival in Brazil" in One Document: Edited and Divided into Handy Chapters. Including Detailed References.